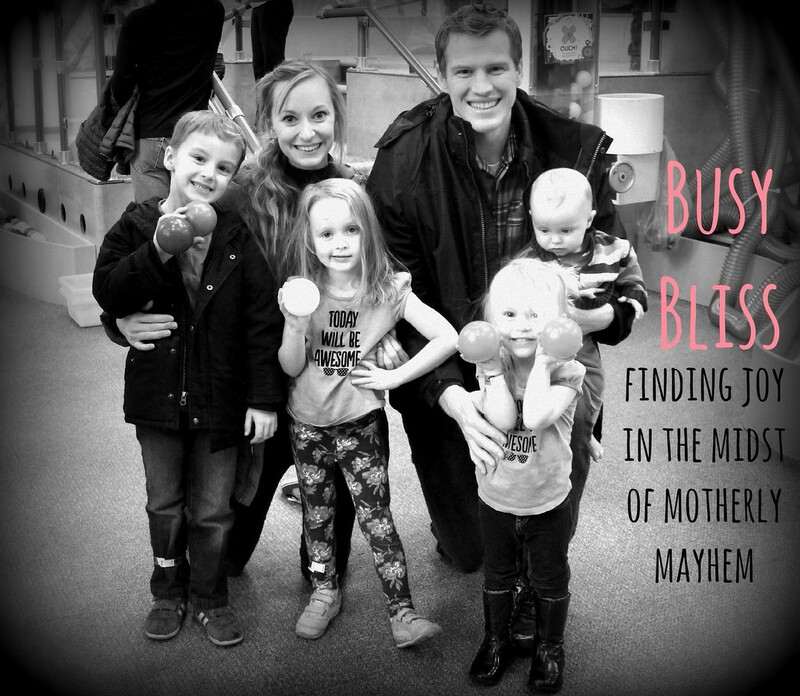 BusyBliss: Finding the Joy in the Midst of Motherly Mayhem: 7 Motherhood Ideas that I LOVE! I know I've told you already... but I adore this woman - Shawni - and the whole inspiring Eyre clan. CLICK HERE to see her post "7 motherhood ideas that I love." Here are some fun ideas, most of wish I don't do now but dream to do in the future! 1. Movie Night: Each Friday night they pop popcorn, make chocolate-chip cookies, and watch a movie! 2. Interviews: Shawni's dad started a tradition of having a little one-on-one "interview" with each child once a week. She explains, "He'd ask all kinds of questions. He'd help us figure out our goals. When we were really little he'd write the initial of our best talents on each of our ten fingertips. He'd make us feel so great about ourselves. He'd ask what he could help with.... [she goes on to share] This is a tough thing to carry on with my kids because I'm not anywhere near as organized or as amazing as my dad. But I do enjoy writing occasional letters on my kids' fingertips and I have cornered them for an 'interview' on occasion. This year I've decided to try to do interviews on our monthly lunch dates, which is the next idea..."
3. Lunch Dates. I LOVE, LOVE this idea for taking each child out of school lunch hour every now and then! Shawni tries to do once a month. Sure you may still have toddlers/babies tagging along, but it's still that child's "special day." They get to choose the fast food place and you get some essential one-on-one time! 4. Mother's Day Letters. I too feel so passionately about record keeping, and I'm sure it will get even crazier and harder to keep up on it as we have more kids. I love writing them "notes" in their journals (of course not nearly as much as I would like!) of the strengths I see in them, of funny stories, and of how much I love the little things they do. Shawni started a tradition of asking for a few hours each Mother's Day to sit down and write each of her kids a "love note" where she writes "how much I love them at every stage and what I've noticed about them each year." These are precious letters to compile and keep forever! 5. Clean Ten. She says, "Whenever things get really cluttery...(ok, pretty much a few times a day) we just say "clean ten" and the kids have to each pick up and put away ten things." 6. Late Nights. Shawni explains that "'Late Nights' are when the kids get to rotate each getting a turn once a week to stay up ten or fifteen minutes later than the others. They eat this up. It's such a short amount of time, but they think it's the luckiest thing ever when it's their turn and we love to give them some undivided one-on-one attention." 7. "Happies" & "Sads" At dinner time you each take turns saying your "happies" (best part of your day) and "sads" (worst moment of the day)! I've tried doing this at bedtime which can be fun too. She says it's a great way to get some details and more of a discussion than just describing their day as "fine" or "bad." LOVE ALL THESE IDEAS! THANKS TO SHAWNI! I love these! We have family dates once a week, aka family home evening with a date spin on it. We also every night have bath time, read a chapter from the kid scriptures, read a chapter from another book (right now we are reading the Little house on the prairie series) brush our teeth and have family prayer. My oldest daughter is only four and a half but she loves it and keeps us on task. I love your blog and ideas!! Maybe because we are on the same track. I have a big map in our eat in kitchen as well as a globe. We read lots of books about the thanksgiving story as well as made a thankful turkey at dinner. I am fascinated about learning other cultures and countries and force them into my dates with the family and dates with the hubby. I plan on adding more of these ideas in my life. I know we need to be doing parent child interviews. Thank you so much for writing!! It was a lunch date, not truancy. As a teacher, you should have read it thoroughly. As a teacher, you should know how to properly use grammar. "Mommies" is the plural form of "mommy". "Mommy's" implies possession. Perhaps you should spend more time brushing up on your skills instead of criticizing others for removing their child for LUNCH (not the entire day). Get over yourself! There is no need to be unkind, Anonymous ^. The teacher who commented made a good point (and grammar mistakes do not negate the value of his/her opinion). I am also a teacher and agree that disrupting a child's school day that frequently might be harmful -- however, a rare "date" with Mommy for lunch or getting to leave a half hour early maybe once or twice a school year would be acceptable, in my opinion. This is a nice post, with some good ideas...thanks for sharing! I love these ideas! You don't know me, but I found this post from pinterest, and I just want to reply to the comment by "Anonymous". Taking your child out of school once a month is in no way irresponsible. In fact rather than "hindering their learning time" it actually teaches them one of the most important things they'll ever learn... that they matter and that their parent loves them! No amount of math or reading can ever make up for that priceless connection between a child and a parent, even if it means we have to take them out to lunch on a school day. As a teacher "anonymus" should know that the children who thrive and are the happiest are those children who have close family ties and a loving home environment. An occasional lunch date out during a school day only fosters that love, and helps the child be a better student! Agreed and well put Tiffany! Thank you for posting! A lunch date could easily be done during your child's lunch time. If there isn't enough time to go off campus then mom can grab a lunch on your way to your child's school and bring a blanket and have a pic nic on campus. Another idea is what we call "Sunday Funday". We have dessert for dinner, its not so healthy but sure doememories memories and helps my boys get through the week. I AGREE with Tiffany! There can be nothing better for a child than strengthening their relationship with a parent!! I think this is a brilliant idea not only for moms but also for Fathers!! Im going to start this! We do this on our kids bday...but need & want to do it more!! Families are the only thing in this life we will take with us! Make them strong & unbrakeable!